AFA offers you a Special Bonus FREE with your tour to Donetsk!!! Enjoy amazing tour to Mariupol with no extra charge! Mariupol is a splendid city situated on the coast of the Azov sea, at the mouth of Kalmius river, only 116 km from Donetsk. Population of the city is more than 500,000 people and you have a great opportunity to meet many beautiful family-minded women there. These women have had just a little fortune to meet Western men and are enthusiastic about the occasion to do so. You will arrive in Mariupol the day after the second Social in Donetsk and hold the third social that evening in Mariupol. 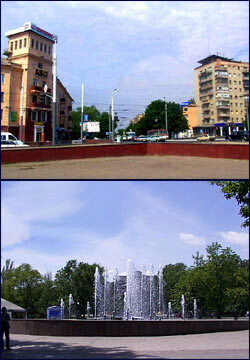 The following morning you will return to Donetsk where you will enjoy the the rest of your tour. You have really great opportunity to meet with the most gorgeous Ukrainian women and to visit two marvelous cities for the price of one! If you have any questions about this tour please feel free to contact any of our Romance Tour counselors.